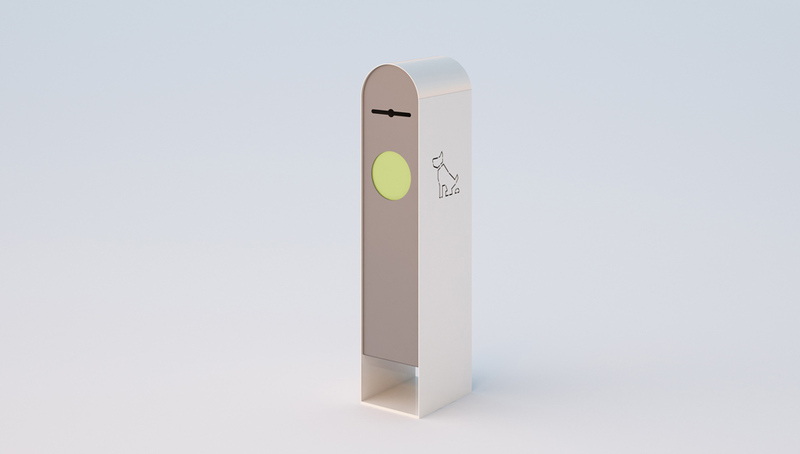 Dog litter bin designed with simple and essential shapes. Painted steel body and cover. Possibility of timber cover under request.